Complete Data, Conectivity & Voice Solutions. General Dynamics is a market leader in business aviation; combat vehicles, weapons systems and munitions; shipbuilding and marine systems; and mission-critical information systems and technology. Our mission was to supply and install a Cat6 network infrastructure for the General Dynamics site at Oak dale, working closely with Paramount office interiors and CMBE electrical. 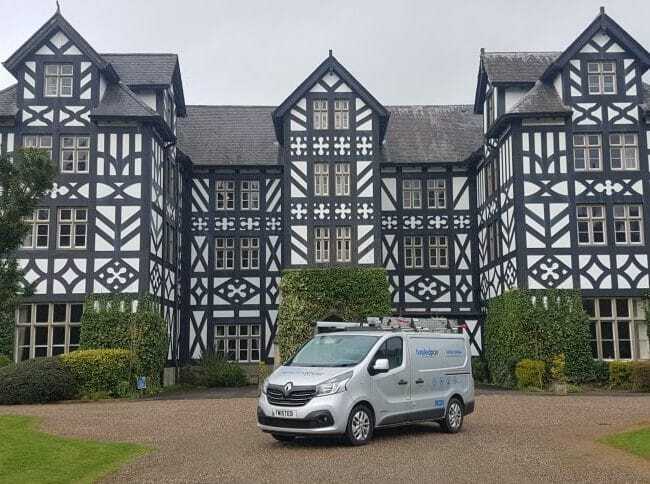 With an existing network in place our challenge was to re locate as may outlets as possible to feed the new office layout with voice and data requirements. Twisted Pair Technologies installed 182 Cat 6 outlets, relocated 500+ outlets and patched the equipment from outlet to device. Our engineers were security cleared by the M.O.D and worked out of hours when needed to ensure minimal disruption to the organization. Upon completion Twisted Pair were then asked to install 50+ Cat 6a outlets as a second phase to the project, our engineers were a valuable asset to making the overall project a complete success, it was a pleasure to work with the staff at General Dynamics and we hope to do more business in the very near future. Congratulations to our Technical Engineer Adam Smith on receiving the outstanding achievement award from Jobs Growth Wales! Cat5e, 6, 6a, 7, 7a or 8! What network do I choose right now? Enter your email below to keep updated with our latest news and events.